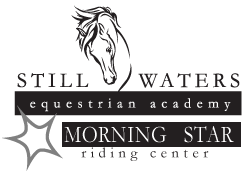 Still Waters Equestrian Academy offers students ages five to adult the opportunity to excel in the wholesome, challenging sport of horseback riding. 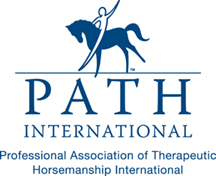 Instruction is open to riders of all ability levels in both western and english disciplines. 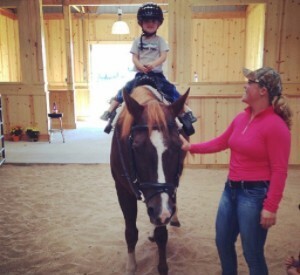 We provide experienced school horses, riding equipment, and professional instructors. The Academy Program at Still Waters Ranch is based on safety as well as fun and education. 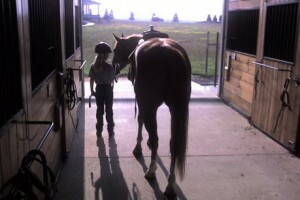 All beginner lessons are private until the student is ready to learn to ride with other riders and horses. The Still Waters Ranch Riding Academy teaches horsemanship, not just riding. Customized lessons include exercises which teach balance and coordination and promote partnership, responsibility and mental concentration. Students will also learn horse care skills including grooming and equine health and nutrition. As our students advance, they learn group responsibility, confidence, and the joys of teamwork. 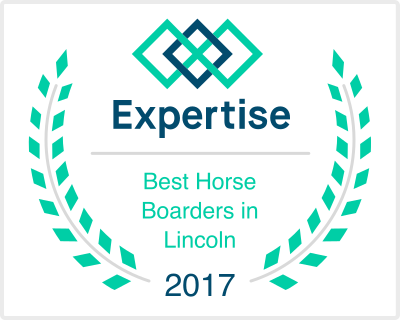 Dedicated students have a multitude of opportunities to advance in competitive or non-competitive areas of riding. Online scheduling is now available. Lessons will take place unless the "feels like" temperature is 20 degrees or below. Please look for notification from your instructor or call to inquire.